Marker TOPModel. 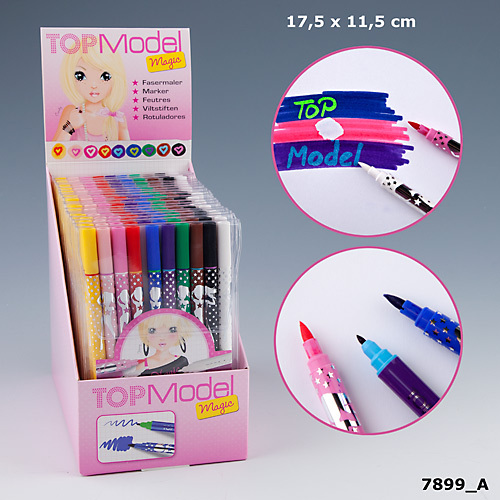 Set of 10 double-ended pens, fine point tip and a thick, so you can color all your notebooks Topmodel. Set of 10 double-ended markers Topmodel with vented cap, thus complying with ISO 11540. Yellow, pink, fuchsia, red, violet, blue, green, brown, gray and black markers complete this set of markers so you can make all your designs Topmodel. Warning: Keep out of reach of children under three years to contain parts that can be swallowed. Markers Topmodel measures: 17 x 11.5 cm.